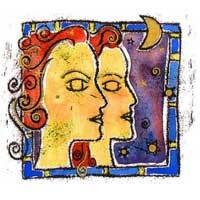 Alongside an Aquarius you have a slight tendency of being restless, as if you were together with another Gemini. Aquarius influences your horoscope related to travels, mental activity, publications, writing, your ability of reaching above your expectations. They stimulate you and teach you not to be satisfied with being on the 2nd place. Uranus and Mercury work together to make your wishes come true. 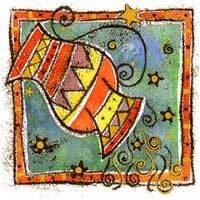 Aquarius lures you, promising more and more until you get tired of anticipating things. He is a good partner for traveling and learning. Aquarius stimulates you, so it's possible that you change your mind various times. It can sometimes be a burden because this association involves responsibility and not always a substantial reward. At the end, Gemini turns sad when noticing that there's nothing much to win from this situation. If you seek adventure and a better comprehension of the world you live in, then Aquarius is your best choice. If you are interested in profits, look elsewhere. Alongside Aquarius you take long trips. Uranus and Mercury unite to create progress in your life; you will notice other people's interest in this. You will create better opportunities for others, sacrificing yourself. On the whole, the Gemini-Aquarius combination is a very successful one.